Carmen Geha is an Assistant Professor of Public Administration at the American University of Beirut and a Visiting Scholar at the Weatherhead Centre in Harvard University for Spring 2018. She teaches courses on public and human resource management and civic engagement. 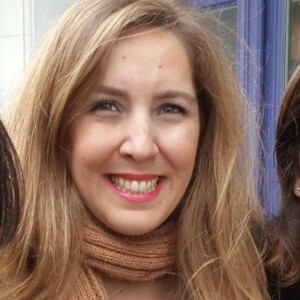 Carmen’s research focuses on the influence of political systems on the prospects for reform and civil society in the MENA region. She is particularly interested in power-sharing politics, women’s political participation, and protest movements. Carmen is author of “Civil Society and Political Reform in Lebanon and Libya” (Routledge, 2016). She is currently researching the Lebanese governmental political and policy actions towards Syrian refugees in times of crisis and deadlock. In addition to her academic track, Carmen has had almost a decade of experience in development work with grassroots movements, governments, UN agencies and NGOs in Myanmar, Lebanon, Tunisia, Libya, Saudi Arabia, Kuwait, and Iraq. She has advised and consulted international and local organizations on issues including social cohesion, constitutional development, voter education and women political participation. She is also a member of the National Commission for Lebanese Women. She holds a PhD in International Relations from the University of St. Andrews, and a BA and MA in Public Administration from the American University of Beirut. She was previously a Visiting Scholar at the Watson Institute at Brown University in summer 2015.